Here is our ‘All you need to know about the Oxford Reading Tree’ parents’ guide to help you understand their system and to see if your child is at about the right reading level. Many mums call me to discuss their child’s reading level. They worry that their child’s classmates seem to have different colour books. Does this ring a bell with you? If so, read on! So what level book should your child be reading in school? The Oxford Reading Tree banding gives a pretty good guide on where your child’s reading should be. However, I cannot stress enough that every child is different and makes progress at different rates; your child might seem ‘stuck’ on a certain colour for ages and seem to lag behind their classmates. Please try not to worry. Learning isn’t linear and suddenly there will be a noticeable leap in progress. Persevere and try and keep it fun. What is the Oxford Reading Tree? The vast majority (around 80%) of primary schools now use the Oxford Reading Tree to help kids learn to read. 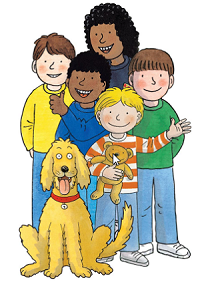 This includes series such as Biff, Chip and Kipper, Floppy’s Phonics, Traditional Tales, Songbirds Phonics, inFact, and Story Sparks. One of my personal favourites is the Project X Alien Adventure series, specifically designed to motivate boys to read independently – something that really helped my son. What are Oxford Reading Tree bands? Confusingly, (at least to me! ), each Oxford Reading Tree book is given a colour AND a numbered level. When the Oxford books series was created, they gave each book a colour level, but then later on as the National Curriculum developed, ‘book levels’ came along across different reading schemes to indicate the reading level of each book, so these are now included too. Year 4 15 My Guinea Pig Is Innocent!